North of the 60th parallel in Northwest Territories and Nunavut Territory, the boreal forests become sparser and grade into tundra vegetation. This post describes four ecoregions located between the 60th and 70th parallels in this region. Muskwa-Slave Lake forests ecoregion was described last month. The Great Slave Lake, the deepest lake in North America at 600 m and the 10th largest in the world (500 km by 225 km), is named after a First Nations people, known as the Slave or Dene. The largest river flowing into the lake is the Slave River, from the south, and the lake drains from its west side by the Mackenzie River, an Arctic Ocean tributary. On the north side of the lake is Yellowknife, the capital of the Northwest Territories. This ecoregion in Nunavut Territory and Northwest Territories consists of shrubby tundra vegetation including willow and heath. 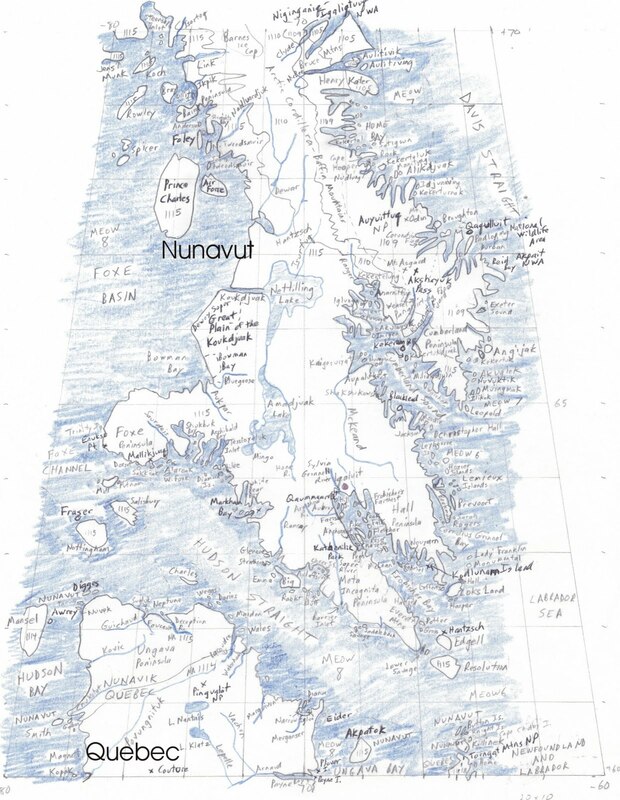 It includes much of the area south of Coronation Gulf and Queen Maud Gulf in Nunavut. Ahiak Migratory Bird Sanctuary (formerly Queen Maud Gulf MBS) is 6,292,818 ha; this makes it the world’s second largest Ramsar site. The site is managed by the Canadian Wildlife Service, part of Environment and Climate Change Canada, and the Ahiak Co-Management Committee (settlements of Cambridge Bay, Gjoa Haven, and Umingmaktok). The vast flat expanse of tundra meadows and marshes is the nesting ground for 450,000 Ross’s geese, 90 percent of the world’s population. Also 8% of the Canadian population of snow geese nest here. There are about 60 goose colonies, the largest of which is at Karrak Lake, where there is a research station (N67o14’ W100o16’). In addition to research on lesser snow and Ross’s geese, there is also research on Arctic fox (http://www.usask.ca/biology/fox/). Access to the sanctuary requires a permit. Other animals are barren ground caribou (calving ground), musk oxen, wolves, grizzly, and wolverine. Habitats are web meadow, marsh tundra, dry tundra, rock and boulder fields. Bloody Falls National Historic Site and Kugluk/Bloody Falls Territorial Park (N67o45’ W115o22’) is an archaeological site on Coppermine River terraces which records pre-contact hunting and fishing sites. The falls was also the site of the 1771 Bloody Falls Massacre, where Inuit were killed by Chipewayans while on a survey of the Coppermine River. Thelon River is designated as a Canadian Heritage River between Eyeberry Lake (N63o10’ W104o40’) and Baker Lake (N64o16’ W96o8’). The Thelon is the largest river flowing into Hudson’s Bay, at 900 km in length, and is an unaltered drainage basin. Much of the Heritage River flows through the Thelon Wildlife Sanctuary. The Thelon is an important bird area for Canada geese, greater white-fronted geese, and snow geese. The Back River Volcanic complex is a 2.7-billion-year-old stratovolcanic complex including the Heywood Range (N64o47’W107o50’) and Peacock Hills, roughly bounded by the Back and Contwoyto Rivers, Keish Lake (N65o2’ W108o21’), Regan Lake (N65o5’ W107o48’), Gold Lake (N64o50’ W107o42’), and Jim Magrum Lake (N64o44’ W108o2’) (Villenueve et al., 2001). To the east, the Back River Gold District is a proposed mine complex south of Bathurst Inlet. Open-pit mining would take place near Goose Lake (N65o33’ W106o26’) and George Lake (N65o55’ W107o28’) (Rescan Environmental Services Ltd., 2012). An open-pit diamond mine is located at Lac de Gras (N64o31’ W110o34’) northeast of Yellowknife. Bathurst Inlet (N67o35’ W108o10’) hosts the Bathurst caribou herd, which was made up of 500,000 individuals in the 1980s, has declined to less than 10,000 today. The cause of the decline and whether it is a natural fluctuation are debated, but the drastic loss in a few years is cause for concern (Government of Northwest Territories, 2019). The topography around the inlet includes sea cliffs used by raptors. Daring Lake Tundra Ecosystem Research Station (N64o52’ W111o36’) is operated by the government of Northwest Territories to conduct long-term research on the tundra ecosystem, including global change and caribou grazing. Middle Back River Important Bird Area extends from Pelly Lake (N65o58’ W101o40’) to Lower Garry Lake (N65o53’ W100o0’). It provides nesting habitat for Canada goose, lesser snow goose, and other waterfowl. Molting Canada geese are observed in shoreline grass and sedge habitats. Snow geese breed at Pelly Lake. The Back River was formerly known as Back’s Great Fish River. Thelon Wildlife Sanctuary is 52,000 km2 in both Nunavut Territory and Northwest Territories and was established in 1927 to protect muskoxen. It is also the calving grounds for the Beverly caribou herd. It extends from Moraine Lake on the Baillie River (N64o10’ W105o55’) on the west to Wharton Lake in the east (N64o4’ W100o0’) and from Dubawnt Lake in the south (N63o10’ W102o5’) to the Back River-Consul River confluence in the north (N65o41’ W102o2’). Wilburforce Falls on the Hood River (N67o6’ W108o48’) at 49 m is the highest cataract north of the Arctic Circle. 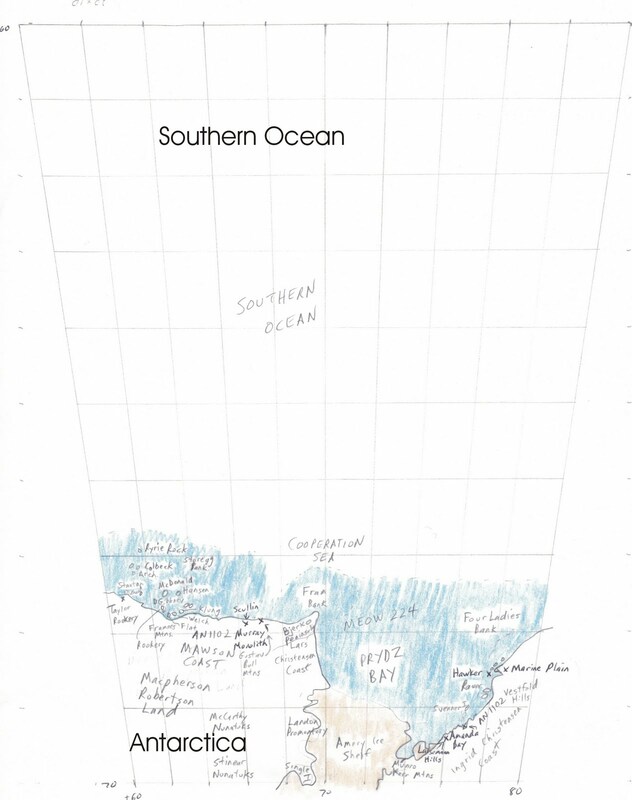 To the north of the Low Arctic Tundra, this ecoregion includes Victoria island and parts of the Kent Peninsula in the Coronation Gulf. Vegetation includes Arctic willow, herbs, and lichens. The Dolphin and Union caribou herd migrate across the straight between Victoria Island and mainland Nunavut. They spend time on Victoria Island for summer grazing and the shoreline from Bathhurst Inlet west to Northwest Territories for winter use (NWT Species at Risk, 2019; Torney et al., 2018). 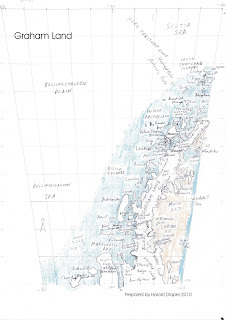 Ovayok Territorial Park (N69o10’ W104o43’) includes a prominent esker rising to 210 m east of Cambridge Bay. The park is known for sitings of muskox. Jenny Lind Island (Qikiqtaryuaq Island) (N68o42’ W102o0’) is a low-lying island with low lying wetlands, and is an Important Bird Area for nesting snow geese and Ross’ geese. 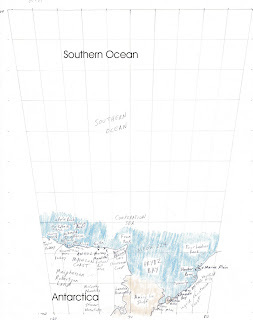 Walker Bay Research Station (N68o21’ W108o6’) is on the Kent Peninsula south of the Augustus River. Research on lemmings, a keystone prey for Arctic fox, snowy owl, weasel, and jaegers is conducted here. The longest record of lemming dynamics and habitat use in the Canadian Arctic has been compiled here (Dupuch et al. 2014). This area is mostly in the Northwest Territories south of the limits of tree growth. It is east of Great Bear Lake and north and east of Great Slave Lake. Vegetation is stunted black spruce and tamarack, with a ground cover of dwarf birch and ericaceous shrubs. Sedges and sphagnum moss are also common. Kazan River is designated as a Canadian Heritage River from Ennadai Lake (N61o15’ W100o57’) to Baker Lake (N64o2’ W95o29’). Three waterfalls are present between Angikuni Lake (N62o15’ W100o0’) and Yathkyed Lake (N62o43’ W97o55’). Further downstream is Kazan Falls and gorge. Muskoxen are commonly seen by canoeists. Fort Reliance National Historic Site (N62o47’ W108o56’) is at the northeastern end of Great Slave Lake at the mouth of the Lockhart River. This was a Hudson’s Bay Company Fort and trading post dating to 1855. The remains of 4 fireplaces and chimneys are at the site. Thelon River is designated as a Canadian Heritage River between Eyeberry Lake (N63o10’ W104o40’) and Baker Lake (N64o16’ W96o8’). The Thelon is the largest river flowing into Hudson’s Bay, at 900 km in length, and is an unaltered drainage basin. The Thelon is an important bird area for Canada geese, greater white-fronted geese, and snow geese. Fort Confidence (N66o53’ W119o3’) was a Hudson’s Bay Company post at Dease Arm of Great Bear Lake from 1837 to 1848. The remains of stone and clay chimneys are still present. Nicholson Lake Impact Crater (N62o40’ W102o41’) is 12 km in diameter, on the Dubawnt River, and dates to 400 million years ago. It contains a large island in its center. North Arm, Great Slave Lake, Important Bird Area (N62o34’ W115o14) is a staging area for spring-migrating waterfowl, including Canada geese, scaup, pintail, tundra swan, gulls and terns. Pilot Lake Impact Crater (N60o17’ W111o1’) is 6 km in diameter and dates to 445 million years ago. It is northeast of Fort Smith and stands out prominently as a circular lake in an area where most are irregularly shaped. Old Fort Providence (N62o17’ W114o6’) is on Wool Bay on Great Slave Lake, southeast of Yellowknife. This was the site of an early trading post on the lake, dating to 1786, established by the North West Company. The remains of 4 buildings are spread over 1 ha. Port Radium (N66o5’ W118o2’), on Great Bear Lake, was the site of a mine producing uranium, pitchblende, and silver from 1930-1982. Radioactive mine tailings were cleaned up in 2007. Thelon Wildlife Sanctuary is 52,000 km2 and was established in 1927 to protect muskoxen. It is also the calving grounds for the Beverly caribou herd. It extends from Moraine Lake on the Baillie River (N64o10’ W105o55’) on the west to Wharton Lake in the east (N64o4’ W100o0’) and from Dubawnt Lake in the south (N63o10’ W102o5’) to the Back River-Consul River confluence in the north (N65o41’ W102o2’). Fred Henne Territorial Park (N62o28’ W114o25’) is at km 335 on Route 3 adjacent to Yellowknife. It includes the 4-km Prospector’s Trail. Yellowknife River Territorial Park (N62o31’ W114o19’) is east of Yellowknife at km 8 on Route 4. Prosperous Lake Territorial Park (N62o32’ W114o9’) is at km 20 on Route 4. Madeline Lake Territorial Park (N62o33’ W114o4’) is on Route 4 at km 24. There is a canoe launch on the lake. Pontoon Lake Territorial Park (N62o33’ W114o2’) is at km 26 on Route 4. Prelude Lake Territorial Park (N62o34’ W113o59’) is at km 28 on Route 4. Powder Point Territorial Park (N62o31’ W113o44’) is at km 44 on Route 4, overlooking Prelude Lake. Hidden Lake Territorial Park (N62o33’ W113o39’) is a 3,000-ha park on Route 4 at km 46. It includes Cameron Falls. Cameron River Crossing Territorial Park (N62o30’ W113o33’) is on Route 4 at km 55. It includes Ramparts Waterfall. Reid Lake Territorial Park (N62o29’ W113o28’) is on Route 4 at km 59 near the Cameron River. This ecoregion is west of Great Slave Lake, extending north to Great Bear Lake, and includes open stunted black spruce with dwarf birch, Labrador tea, and willow. Edehzhie Dehcho Protected Area and National Wildlife Area (N62o W118o) is 1,425,000 ha, including the Horn Plateau west of Great Slave Lake and Mills Lake area along the Mackenzie River. The expansive area of boreal forests and wetlands is jointly managed by the Dehcho First Nations and the Canadian Wildlife Service, part of Environment and Climate Change Canada. Wildlife includes caribou, moose, and wolves. Mackenzie Bison Sanctuary is bordered by Great Slave Lake on the east and Route 3 (Frontier Highway) on the west for 50 miles; it is on the north side of the Mackenzie River ferry. On Frontier Highway, km 24 is Mackenzie River and km 26 is the bison sanctuary boundary. The Mackenzie population of wood bison descended from a population of 18 individuals released north of Fort Providence in 1963. Numbers currently fluctuate between 500 and 2,000. In recent years the population has suffered from anthrax outbreaks. In addition, lakes are expanding in area due to climate change. The resulting landscape flooding is reducing their habitat (Korosi et al., 2017). Chan Lake Territorial Park (N61o54’ W116o32’) is at km 124 on Route 3 at the north end of the Mackenzie Bison Sanctuary. Martin Lake (Lac La Martre) (N63o21’ W117o58’) is the third largest lake in the Northwest Territories and is noted as a migratory bird staging area. North Arm Territorial Park (N62o43’ W116o5’) is on Route 3, km 232, at Great Slave Lake. Dupuch, Angelique et al. 2014. Landscapes of fear or competition? Predation did not alter habitat choice by Arctic rodents. Oecologia 174:403-412 (DOI:10.1007/s00442-013-2792-7). Korisi, Jennifer B. et al. 2017. Broad-scale lake expansion and flooding inundates essential wood bison habitat. Nature Communications 8:14510 (10.1038/ncomms14510). Northwest Territories Government, Environment and Natural Resources. 2019. Barren-Ground Caribou. https://www.enr.gov.nt.ca/en/services/barren-ground-caribou (accessed February 23, 2019). NWT Species at Risk. Dolphin and Union Caribou. https://www.nwtspeciesatrisk.ca/species/dolphin-and-union-caribou (accessed February 23, 2019). Rescan Environmental Services, Ltd. 2012. The Back River Project, Project Description. Prepared forSabina Gold and SilverCorporation. Accessed February 10, 2019, at https://backriverproject.com/about/. Villenueve, Mike, et al. 2001. Geochronology of the Back River volcanic complex, Nunavut-Northwest Territories. Geological Survey of Canada Current Research 2001-F2. Accessed February 10, 2019 at http://publications.gc.ca/collections/Collection/M44-2001-F2E.pdf. This ecoregion is in northern Alberta, British Columbia, and Northwest Territories and includes the area to the south of Great Slave Lake. 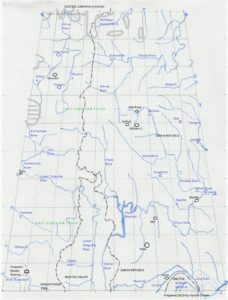 Sites in Alberta and British Columbia were described in a previous post. Vegetation consists of closed stands of quaking aspen, spruce, and balsam fir with lesser amounts of balsam poplar and black spruce. Sporadic permafrost, wetlands, and bogs cover up to one-half of the land. The ecoregion supports large-scale mammal migrations. The Great Slave Lake, the deepest lake in North America at 600 m and the 10th largest in the world (500 km by 225 km), is named after a First Nations people, known as the Slave or Dene. The largest river flowing into the lake is the Slave River, from the south, and the lake drains from its west side by the Mackenzie River, an Arctic Ocean tributary. Wood bison calving grounds are in the Peace-Athabasca Delta (N58ᵒ50’ W112ᵒ0’) and in the Darrow Creek meadows area (N59ᵒ25’ W111ᵒ37’) of the park, both in the eastern areas of the park. Wood bison are North America’s largest land mammal. In this park, the predator-prey relationship between wolves and wood bison has continued, unbroken, over time. The whooping crane nesting grounds (N60ᵒ15’ W113ᵒ15’), a Key Biodiversity Area and Important Bird Area, are in the northeastern portion of the park. Extensive salt plains (N59ᵒ50’ W112ᵒ10’) are accessible from Route 5. Wood Buffalo National Park contains the finest example of gypsum karst in North America (N60ᵒ20’ W114ᵒ15’). Other park sites are the Birch River (N58ᵒ15’ W113ᵒ25’), Garden River (N58ᵒ43’ W113ᵒ48’), Peace Point (N59ᵒ8’ W112ᵒ27’), Buffalo Lake (N60ᵒ15’ W115ᵒ20’) and an area of upland tundra (N59ᵒ35’ W114ᵒ50’). Edehzhie Dehcho Protected Area and National Wildlife Area (N62o W118o) is 1,425,000 ha, including the Horn Plateau west of Great Slave Lake and Mills Lake area along the Mackenzie River. The expansive area of boreal forests and wetlands is jointly managed by the Dehcho First Nations and the Canadian Wildlife Service, part of Environment and Climate Change Canada. Wildlife includes caribou, moose, and wolves. Mills Lake Important Bird Area (N61o27’ W118o17’) is a widening of the Mackenzie River near the confluence with the Horn River. It is an important September-October migration stop for greater white-fronted geese, tundra swan, snow geese, Canada geese, ducks, and coots. Fort Resolution National Historic Site (N61o10’ W113o45’) is the site of the oldest trading post in the Northwest Territories, dating to 1819. The site is on a peninsula on the Great Slave Lake near the present-day town of the same name. No remains are present. Hay River Missions National Historic Site (N60o52’ W115o44’) is on the right bank (facing downriver) of the Hay River at its confluence with Great Slave Lake. The site is the half-way point of a 2,500-mile waterway between Athabasca Landing north of Edmonton and the Arctic Ocean. In 1868, Hudson’s Bay Company opened a fur trading post and Catholic mission at the site. Between 1893 and 1937, an Indian residential school was on the site. In 1909, St. Peter’s Anglican Church was constructed at one end of the settlement, and in 1940, St. Anne’s Roman Catholic Church was constructed at the other end. The national historic site consists of the two churches, remains of a rectory, associated cemeteries, and spirit houses. Together, these represent a cultural landscape that commemorates decades of interaction between K’atl’odeechee First Nation and settler populations. Beaver Lake Important Bird Area (N61o7’ W117o12’) is a wide part of the Mackenzie River at the west end of Great Slave Lake. It is important for tundra swans. South Shore Great Slave Lake Important Bird Area extends along the shoreline from the Slave River Delta (N61o18’ W113o38’) to Taltson River (N61o26’ W112o48’). It is an important spring and fall migration stop for tundra swans, snow geese, ducks, and Canada geese. 60th Parallel Territorial Park (N60o0’ W116o59’) is at the Alberta Border on Route 1 and serves as a visitor center for traffic entering the Northwest Territories. There are overlooks of the Hay River. Twin Falls Territorial Park (N60o31’ W116o3’) includes a trail to both Alexander and Louise Falls, on Hay River south of Enterprise at km 72 on Route 1. McNallie Creek Territorial Park (N60o47’ W116o35’) is north of Enterprise at km 120 on Route 1 and includes a 17-m waterfall. Lady Evelyn Falls Territorial Park (N60o58’ W117o20’) is on Route 1 at km 167. The falls are on the Kakisa River south of Route 1. Kakisa River Territorial Park (N61o0’ W117o20’) is on Route 1, km 169, and includes a trail to Lady Evelyn Falls. Sambaa Deh Falls Territorial Park (N61o9’ W119o51’) is on Route 1, km 325, at the Trout River. The park includes two waterfalls and is noted for coral fossils. Hay River Territorial Park (N60o52’ W113o44’) is at the mouth of Hay River off Route 2, km 46, at Vale Island. Dory Point Territorial Park (N61o15’ W117o29’) is on Route 3, km 21, at the Mackenzie River. Fort Providence Territorial Park (N61o20’ W117o37’) is at Fort Providence on the north side of the McKenzie River, Route 3 km 33. 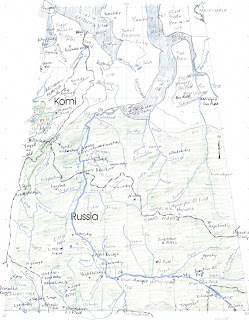 Mackenzie Bison Sanctuary is bordered by Great Slave Lake on the east and Route 3 (Frontier Highway) on the west for 50 miles; it begins on the north side of Mackenzie River bridge; km 26 is the bison sanctuary boundary. The Mackenzie population of wood bison descended from a population of 18 individuals released north of Fort Providence in 1963. Numbers currently fluctuate between 500 and 2,000. In recent years the population has suffered from anthrax outbreaks. In addition, lakes are expanding in area due to climate change. The resulting landscape flooding is reducing their habitat (Korosi et al., 2017). Little Buffalo River Falls Territorial Park (N60o2’ W112o42’) is west of Fort Smith at km 215 on Route 5. Queen Elizabeth Territorial Park (N60o1’ W111o55’) is in Fort Smith at km 261 on Route 5, and includes views of the Slave River and white pelican colonies. Fort Smith Mission Territorial Park (N60o0’ W111o53’) is in the center of town at 25 Mercredi Avenue. It was briefly the capital of the Northwest Territories and includes the remaining buildings and a grotto from Oblate Catholic Mission. Little Buffalo River Crossing Territorial Park (N61o0’ W113o46’) is at km 67 on Route 6 south of Fort Resolution. Korisi, Jennifer B. et al. 2017. Broad-scale lake expansion and flooding inundates essential wood bison habitat. Nature Communications 8:14510 (DOI: 10.1038/ncomms14510). This map area is almost completely in the East Siberian Taiga ecoregion, with small areas in the northwest grading into the Taimyr-Central Siberian tundra. The taiga is characterized by larch forests but without large bogs or swamps. On maps this taiga ecoregion occupies the Central Siberian Plateau because of its hillier terrain. It is the most extensive natural forest in the world, but, as seen below, portions have been impacted by natural and man-made activities in the last 100 or so years. On June 30, 1908, an explosion over today’s Tunguska Nature Reserve left thousands of trees charred over a 2000-km2 area. The most common explanation for the explosion has been that it was an asteroid or meteorite entry into the atmosphere. However, there is no crater or meteorite debris. One possibility is a natural gas explosion from the abundant resources in the area (Anonymous, 2002) If it was a meteorite, it is possible that heat from an exploding meteorite burned up all the meteorite fragments (2). The explosion coordinates (N60⁰55’ E101⁰57’*), are north of Vanavara and the Stony Tunguska River. A meteorite would have been about 6 km high and 50-60 m in diameter when it exploded. Underneath the blast, the trees were incinerated but left standing. At 5 to 15 km, trees were blown over with the tops pointing away from the blast. Witnesses in the towns of Kirensk (400 km away) and Vanavara (40 km south) saw a fireball. A hot wind was reported blowing from the north. Russian researchers later found tiny stony particles embedded in trees (Anonymous, 1996; Hartmann, 2018). A meteorite fall of this size would have injected up to 30 million tons of nitric oxide (NO) into the stratosphere and mesosphere. This would have affected the ozone layer. Turco et al. (1981) found evidence from the Smithsonian Astrophysical Observatory Records that ozone was recovering between 1909 and 1911 from a low in 1908. Ganapathy (1983) found evidence that metallic spheres in the Tunguska area were enriched in iridium, an extraterrestrial signature of impacts. Lake Cheko (N60o58’ E101o52’) has been investigated as a possible impact crater and found to be potentially caused by an impact (University of Bologna, 2018), but recent studies of the sediment age in the lake suggest it is older than 1908, according to Sputnik News (2017). Also, other fragments should be nearby, and rocks in the area would show trauma if there had been an impact (MacMillan 2008). The site of the Tunguska Explosion is protected as the Tunguska Nature Reserve (Zapovednik), a 296,000-ha area surrounding the affected site (N60o44’ E101o58’). The Central Siberian Plateau landform is made up of volcanic material known as flood basalt. When large-scale volcanic eruptions took place to create these basalts, they created what are known as large igneous provinces (LIPs) or traps. The Central Siberian Plateau is made up of two LIPs, one in the Sakha Republic area and one in the Krasnoyarsk Krai area. The Yukutsk-Vilyuy LIP was formed at the end of the Devonian Period (359 million years ago) (Ivanov et al., 2015). This date is associated with an end-Devonian mass extinction of sea life, where up to 87 % of species went extinct. However, the Devonian is also the time when land plants evolved vascular features and seeds. During this time, the first forests spread across the land. It is possible that this vegetation of the earth could also have led to the mass extinctions in the sea because as the plants colonized new habitats, more nutrients could have been released from the soil and the water could have been muddied. Vast algal blooms would live off the additional nutrients and cause anoxia in the oceans and cooling worldwide as levels of carbon dioxide were reduced. The end-Devonian mass extinction was a re-setting of life on Earth, allowing new animal types to evolve in the following periods, the Carboniferous and Permian. The Yukutsk-Vilyuy LIP is associated with a chain of kimberlite fields (diamond mines) that stretches nearly 1,000 km in a southwest to northeast direction across this part of Siberia (Kravchinsky et al., 2002). The second LIP is associated with the end of the Permian Period, approximately 250 million years ago (Campbell et al., 1992). This is called the Siberian traps and is the largest known LIP. The date of the Siberian traps coincides with the Earth’s most catastrophic mass extinction at the end of the Permian period (Reichow et al., 2004). At this time, volcanism released large masses of sulfate aerosols, chlorine, fluorine, and carbon dioxide in a short period, as little as 60,000 years, triggering warming. The chlorine and fluorine would have damaged the ozone layer. It is believed that curtailment of photosynthesis from global dimming led to rapid carbon dioxide buildup, warming, and shallow water anoxia (Saunders and Reichow, 2009). The extra carbon dioxide from the Siberian traps dissolved in the oceans, harming creatures that create calcium carbonate shells. On land, there was a collapse of land plants. The collapse was so severe that there are virtually no coal deposits known from the early Triassic period. The end-Permian extinction could have been a cascading series of events that affected the entire biosphere (Sutherland, 2016). Initially, the volcanic eruptions released enough carbon dioxide to cause a 10o to 15oC tropical warming. This resulted in unbearably hot temperatures on land; organisms were also likely affected by ultraviolet radiation from a collapsed ozone shield. The marine extinction was most severe at high latitudes and its severe effects were likely due to hypoxia, or deoxygenation of the oceans. Organisms at tropical latitudes were preadapted to tolerate low oxygen and high temperatures, and thus were better able to survive the global warming (Kump, 2018; Penn et al., 2018). Between 1974 and 1987, 11 underground nuclear tests were conducted in the Vilyuy region. Two of the 11 had above-ground fallout (Crate, 1996). At least 7 explosions were conducted in the Neva area (N61o30’ E113o0’) southwest of Mirnyy between 1976 and 1987. These explosions were aimed at stimulating oil production from the bedrock of the area and were considered successful (Nordyke, 2000). The Krystall explosion near Udachnyy (N66o25’ E112o22’) in 1974 was aimed at creating a dam for the tailings pond at the diamond mine near the Daldyn River. Radiation leaked from this explosion and today levels of radiation are 5 times natural background levels (Yakovleva, Alabaster,and Petrova, 2000). The Kratom-3 explosion (N65o56’ E112o20’), which took place on August 24, 1978, was adjacent to the Markha River east of Aykhal (Artamonova, Kozhevnikov, and Antonov, 2018). It was part of a deep seismic testing program to study the crustal structure of the earth. The explosion resulted in a radioactive release during a drizzling rain. The radionuclides contaminated the soil and the larch forest exposed to the cloud was killed. Rehabilitation operations were conducted three years after the explosion and in 2007. The site remains contaminated with strontium-90, cesium-137, and plutonium 238-240, which are present in plants, forest cover, and soil. About 200 m away from ground zero, the plutonium concentration is higher than at Chernobyl (Goryachenkova et al., 2017; Ramzaev, 2009). A long-term effect of this activity has been permafrost degradation, perhaps through flow of heat through the rocks over time (Artamonova, Kozhevnikov, and Antonov, 2013). Murukta Depression (N67o43’ E102o20’) is a 315,105-ha Important Bird Area in Evenkiysky District of Krasnoyarsk. 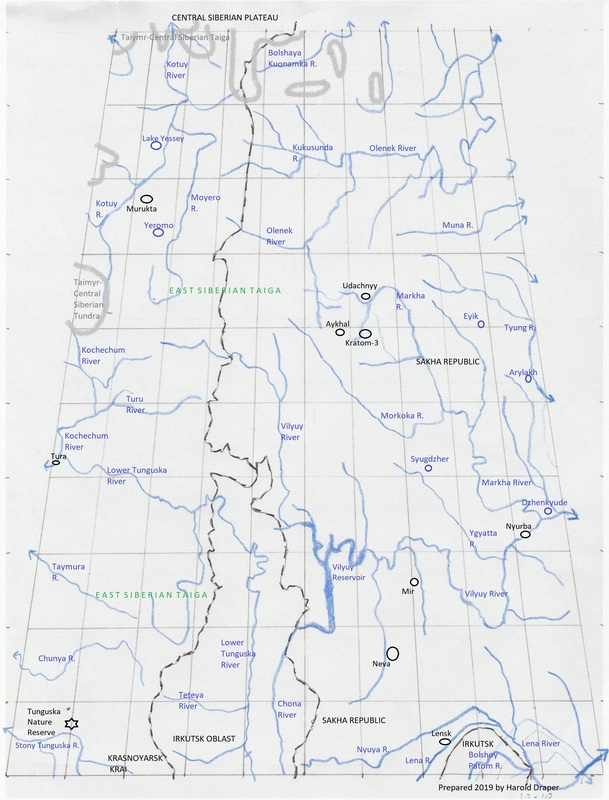 The area contains numerous small lakes and marshes adjacent to the Kotuy River. Nearby Lake Yessey (N68o25’ E102o25’) is known for an endangered species (IUCN Red List) of char which is endemic to four lakes in the Taymyr area (Devi and Boguskaya, 2009). Vilyuy Dam (N63o2’ E112o28’) is located on the Vilyuy River and creates a 280-mile-long lake. It supplies electricity to diamond mines at Mir (N62o32’ E114o0’), Aykhal (N65o56’ E111o30’), and Udachny (N66o26’ E112o19’). A diamond mine is also at Nyurba (N63o17’ E118o20’). These mines include large open-pit areas and may include underground components. Unintended environmental consequences have included pollution of many of the rivers in the area with heavy metals, and the hydrologic dam has disrupted river flows (Crate, 1996; Yakovleva, Alabaster,and Petrova, 2000). Lensk (N60o44’ E114o35’), on the Lena River, is near a cave with an 82’ waterfall and underground lake. Although transportation is limited in summer months, winter ice roads connect Lensk, Mirny, and Udachny in the Sakha Republic and Tura in Krasnoyarsk Krai. * All coordinates are approximate. Anonymous. 2002. More Theories on Tunguska. Science 297:1803. Artamonova, S. Yu., N.O. Kozhevnikov, and E. Yu. Antonov. 2013. Permafrost and groundwater settings at the site of “Kraton-3” peaceful underground nuclear explosion. Russian Geology and Geophysics 54:555-565. I.H. Campbell et al. 1992. Synchronism of the Siberian Traps and the Permian-Triassic Boundary. Science 258:1760-1763 (11 December 1992). Chyba, Chris, Paul Thomas, and Kevin Zahnle. 1993. The Atmospheric Disruption of a Stony Asteroid. Nature 361:40-44. Crate, Susie. 1996. Silent Spring in Siberia: The Plight of the Vilyuy Sakha. Cultural Survival Quarterly, December. Devi, R. & Boguskaya, N. 2009. Salvelinus tolmachoffi. The IUCN Red List of Threatened Species 2009: e.T169589A6649340. http://dx.doi.org/10.2305/IUCN.UK.2009-2.RLTS.T169589A6649340.en. Downloaded on 19 December 2018. Gallant, Roy A. 1994. Journey to Tunguska. Sky and Telescope, June, pp. 38-43. Ganapathy, Ramachandran. 1983. The Tunguska Explosion of 1908: Discovery of Meteoritic Debris near the Explosion Site and at the South Pole. Science 220:1158-1161. Goryachenkova, T.A. et al. 2017. Contents of Radionuclides in Soil and Biota at the Site of the Kraton-3 Accidental Underground Nuclear Test, Yakutia. Geochemistry International 55:654-662. Hartmann, William K. 1908 Siberia Explosion: Reconstructing an Asteroid Impact from Eyewitness Accounts. http://www.psi.edu/epo/siberia/siberia.html Accessed 12/8/2018. Ivanov, Alexei V. et al. 2015. The Yakutsk-Vilyui LIP of the Siberian Craton. March 2015 LIP of the Month. http://www.largeigneousprovinces.org/15mar (accessed December 8, 2018). Kravchinsky, Vadim A. et al. 2002. Paleomagnetism of East Siberian traps and kimberlites: two new poles and palaeographic reconstructions at about 360 and 250 Ma. Geophysical Journal International 148:1-33. Macmillan, Sadie. 2008. Long-lost Siberian crater found? Geotimes, February 2008. https://web.archive.org/web/20090110012714/http://www.geotimes.org/feb08/article.html?id=nn_crater.html. Nordyke, M.D. 2000. The Soviet Program for Peaceful Use of Nuclear Explosions. Lawrence Livermore Laboratory Report UCRL-ID-124410Rev2. Penn, Justin L. et al. 2018. Temperature-dependent hypoxia explains biogeography and severity of end-Permian marine mass extinction. Science 362:eaat1327 (DOI: 10.1126/science.aat1327). Reichow, Marc K. 2004. The Siberian Large Igneous Province. March 2004 LIP of the Month. http://www.largeigneousprovinces.org/04mar (accessed December 8, 2018). Paul R. Renne and Asish R. Basu. Rapid Eruption of the Siberian Traps Flood Basalts at the Permo-Triassic Boundary. Science 253:176-179 (12 July 1991). Andy Saunders and Marc Reichow. The Siberian Traps and End-Permian Mass Extinction: A Critical Review. Chinese Science Bulletin 54:20-37 (2009). DOI: 10.1017/s11434-008-0543-7. Sutherland, Stuart. 2016. Introduction to Paleontology. The Great Courses. Tunguska Revisited. 1999. Science 285:1205. Tunguska State Nature Reserve. http://www.zapoved.ru/catalog/89/. Turco, R.P. et al. 1981. Tunguska Meteor Fall of 1908: Effects on Stratospheric Ozone. Science 214:19-23.